Travel back in time at Old World Wisconsin either on foot or by complimentary tram as your discover Wisconsin’s rich immigrant stories. Your purchase directly supports Old World Wisconsin’s daily operations such as: the heritage breed animal program, heirloom gardens, historic building preservation, school field trip subsidies, and more. Opening for the season on May 4, 2019. The main entrance to Old World Wisconsin is located off of Hwy 67, just south of the town of Eagle. On-site vehicle parking is available for FREE at Old World Wisconsin. The parking lot is located at the front entrance of the site. Weekend Experience: How long does a visit take? If it’s your first visit, we recommend you spend the full day. Most guests stay about 5 hours. This gives you time to explore the full 600 acres, have lunch, and not feel rushed. Many Wisconsin Historical Society Members come for a 2 or 3 hour visit a few times a season. This lets them visit their favorite spaces at different times in the season – which means new flowers, animals, and activities each time they visit! Guests are allowed to bring their own lunches if they wish. We do, however, offer lunches and cold drinks for purchase, including the popular Ploughman’s lunch – a selection of local cheeses and meats perfect to take to one of our many shaded picnic spots. Please note that grills or any open fire are not allowed. Pets are not allowed at Old World Wisconsin out of consideration of our many heritage animals who call the museum home. Service Animals are allowed, but must be registered at Admissions before entering the site. We recommend closed-toe shoes for all guests. Our paths are gravel and the terrain may be uneven. Flip flops and heels can make for a long and sore day. Shoes are required for all guests. Of course! We do recommend strollers and wagons that fold. All strollers and wagons must be folded up before you can load them on to our Trams. Strollers and wagons must be left outside of our historic structures. Often the doorways may prevent access, and once inside the size of the wagon or stroller may become a barrier in the event of an emergency. Thank you in advance for help keep all guests to Old World Wisconsin safe. Because Old World Wisconsin simulates the rural environment of the 1800s and early 1900s, some historic spaces have limited accessibility. This is due to unpaved paths, narrow doorways, and thresholds that are historically correct, although often not accessible. Reasonable accommodations will be made for individuals requiring wheelchairs for mobility. Trams are equipped to transport visitors using wheelchairs. Call ahead to make arrangements at 262-594-6315. Yes. Credit cards can be used at the Museum Store, the Garden Shop, and the Café. We also recommend picking up Time Travel Tokens to use once on site. These can be purchased when you arrive or at any café locations. What are the Time Travel Tokens used for? Time Travel Tokens are a great way to shop in the Crossroads Village like it’s the 1870s! Purchase them at the Museum Store and use them to shop for handmade objects and treats at the Blacksmith Shop, Shoe Shop, General Store, or for a cold soda water at the Four Mile House, a Temperance Taproom from the 1880s. Tokens are a great way to put history in the hands of your young guests, or to treat yourself! Do you have to walk everywhere? Not if you don’t want to! Many guests love to walk the many, scenic trails. On Weekends, we offer free hop-on-hop-off tram service across the full site. On weekdays, you can enjoy a tour that uses a tram to take you out on site with a professional guide. We love all things historic – but not the bathrooms! We have modern restrooms across the site. You will find these noted on your map, or just ask any staff person for the nearest location. All of our restrooms – men’s and women’s- include baby changing stations. We also know that sometimes you just need to change a diaper right in the yard… so that’s ok too! Trash bins are located across the site, and staff can direct you to the nearest one if needed. Is there a Mothers' Room? We respect the right of all parents to feed their children when, how, and where they wish. However, if you need a little space, we do have a dedicated Mother’s Room located in the Garden Shop. If you need assistance, please ask at Admissions. Of Course! Photos are welcome all over Old World Wisconsin. Our one request is that tripods not be used inside our historic structures. This is to protect the walls and floors. All Professional photographers and those wishing to conduct photo shoots must check in at Admissions before entering the site. Not sure where to begin? Your Old World Wisconsin admission ticket opens the door to a world of possibilities. Use our suggested itineraries to make the most of your adventure! A casual dining experience is offered at the Clausing Barn Café or pack a picnic lunch and enjoy eating on the grounds. From souvenirs and books to furnishings for your home and gifts, shop online and in-person for a variety of unique products. Learn more about a listing of restaurants, hotels, and other attractions in Eagle and the surrounding area. Join today!  Wisconsin Historical Society members receive FREE admission to all 12 historic sites & museums across the state of Wisconsin. Because Old World Wisconsin simulates the rural environment of the 1800s and early 1900s, some exhibit areas have limited accessibility. This is due to the scale used in historic restorations and the rural setting. Reasonable accommodations will be made for individuals requiring wheelchairs for mobility. Trams are equipped to transport visitors using wheelchairs. Call ahead to make arrangements at 262-594-6315. Our Team is trained in Universal Design and understands that each guest experiences, processes, and accesses stories in their own way. We train with staff with from the Autism Society of Southeastern Wisconsin and are happy to follow your lead when it comes to making your visit to Old World Wisconsin the stuff of memories. Just let us know how we can help! Our site is full of beautiful historic structures, but sometimes steps and thresholds prevent access for those with mobility considerations. Our staff is happy to join you in the yards and gardens to make your experience as rich as possible. Tram Drivers are always happy to assist with transportation around the site and offer tips on their favorite accessible spots. Field Trips are busy, exciting days for students and staff at Old World Wisconsin. When we have advance notice of any accessibility considerations we can work to make sure that everything is in place for a fantastic day. We train with staff with from the Autism Society of Southeastern Wisconsin and are happy to follow your lead when it comes to making your visit to Old World Wisconsin the stuff of memories. Just let us know how we can help!